We have come into a large amount of GAS DS carts in multiple locations AND our Pre-Sale Deal on 2016 CC Precedents has finally been released to us and will be available to ship in the next two weeks! good condition. Contact us for more details. 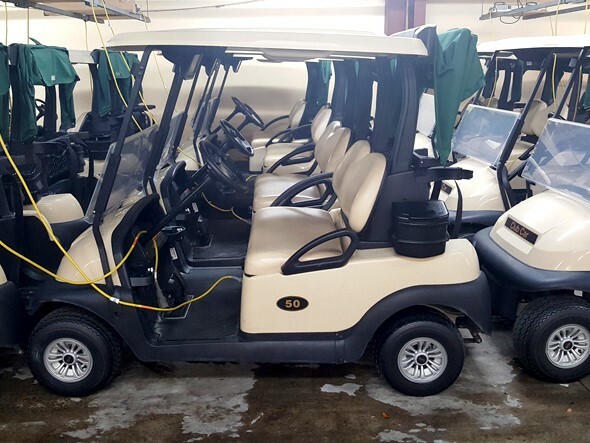 Important Notes: Carts have been updated with Tune Ups, NEW Drive Belts, 40 of 60 have NEW Starter Generators, NEW Pedal Brackets, NEW Bag Straps, 1/3 of All Carts have NEW Tires, NO Broken Bodies! 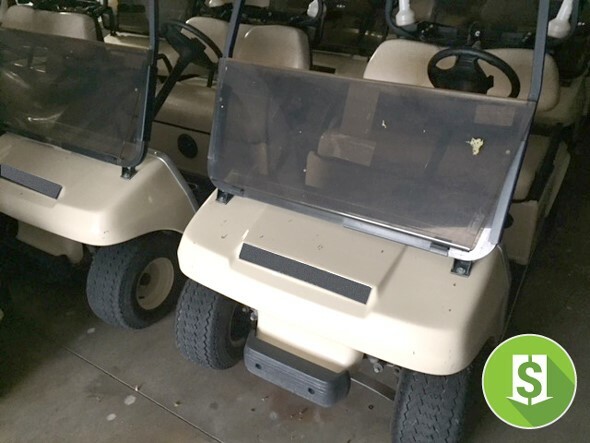 These carts are in beautiful condition and are GAS, so they won’t last long. Get your fleet while you can! Ask about Truckload Pricing and SAVE $50 per cart. 8/10, All tires, underbodies and seats are good. 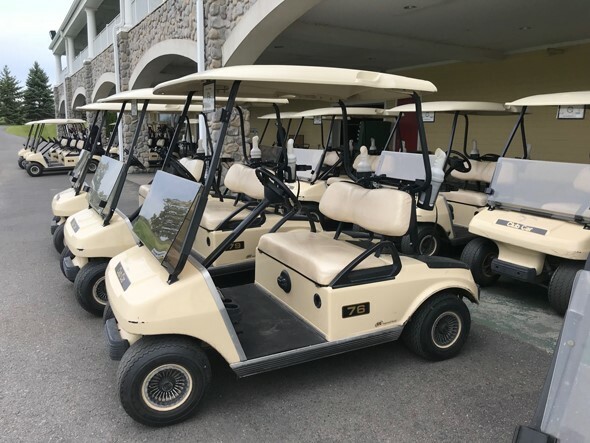 Featuring Club Car DS — Price Drop! CC DS Carts in 2010 and 2011, both featuring upgraded batteries in great condition. No broken bodies, good seats & tires! upgraded 2015 & 2016 batteries. Code 11114 Has Lowered Their Prices! A great variety of Inventory at NEW LOWER prices. Get your fleet while you can. * Minimum order required — Email or Call us for more details.